This test enables you to obtain an immediate and objective summary of your pupils’ English language ability at CEFR level A1. This quick test is the perfect aid for teachers who have pupils transitioning from primary to secondary school. It provides you with a reliable, objective and immediate analysis of your pupils’ English language ability at CEFR level A1. Using the listening, reading and writing tasks found in Mock Examination 1 of telc English A1 Junior, the written exam takes just 30 minutes to complete. 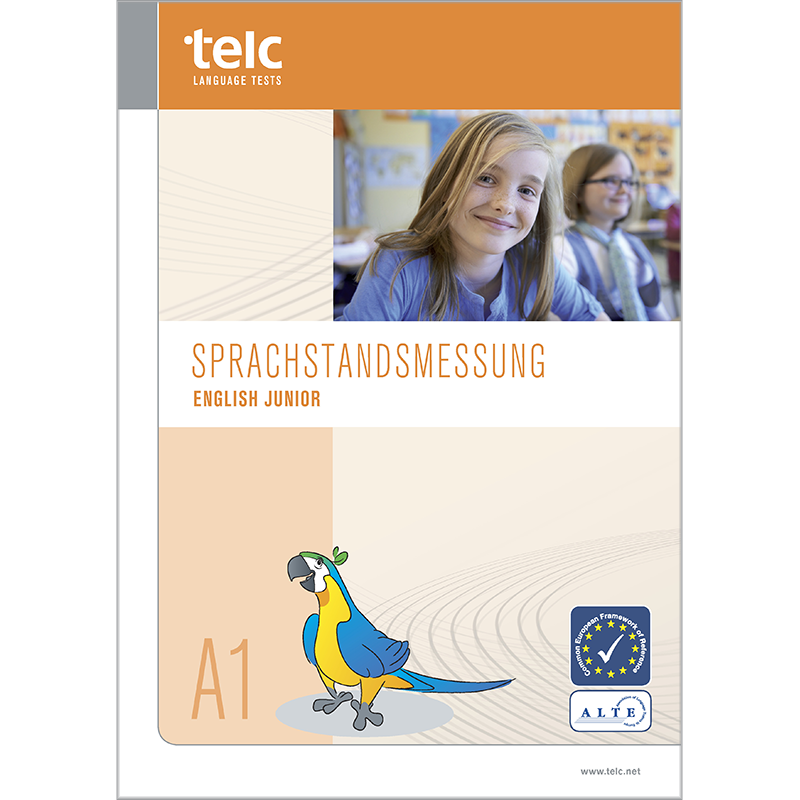 Taken after completion of the fourth grade or at the beginning of the fifth, this test provides you with a dependable summary of your pupils’ reading, writing and speaking skills. Normally, pupils have reached the A1 level after two years of English in elementary school. The classroom package contains 35 copies of the written part of telc English A1 Junior Mock Examination 1, 35 answer sheets, an audio CD with the recordings for the listening comprehension tasks and an answer key.